Since its inception in the past decade, Frontline Group has grown into one of the region’s leading companies. Mr. BP Nassar proceeded his career into Logistics and launched Frontline Logistics in the year 2008 along with three of his relatives & partners Mr. Musthafa Kari, Afsal Ali and Anwar Ali a modest 4 member team and transformed it into a Company with 220 employees, 7 divisions and operations in 6 countries namely, Kuwait, UAE, Iraq, Saudi Arabia and India and having a network all around the world. He plays a pivotal role in emerging Frontline Logistics Group into a leading brand in the Middle East and GCC. Now it is our great privilege to introduce ourselves as Frontline Holidays, a unique brand of superior experience in leisure and vacation ownership. We would like to present you with world class leisure packages that will redefine the time share concepts of every class of people on the one hand and impart them with premium quality services on the other. Nest ‘N Mist, an awesome luxury hotel in exquisite Wayanad being the spectacular stepping stone of FLH into the world of leisure which within a short span has emerged into a terrific resort in South India. Encouraged by brand recognition across India, we are now on the path of creating a pan Indian presence. Worry free slices of time away from the tense city climate are indispensable for sustenance in our rush through life channels. Nest ‘N Mist is our answer for your endless search for such a class relaxation. A leisure hotel where excellence embodies, it is a synonym to harmony with nature and heaven. The ambience and facilities at Nest ‘N Mist will surely take one into a serene state of pleasure. On selecting Wayanad, you tackle your tense and stressful routine with an escape which is exactly into the ‘Earth’. 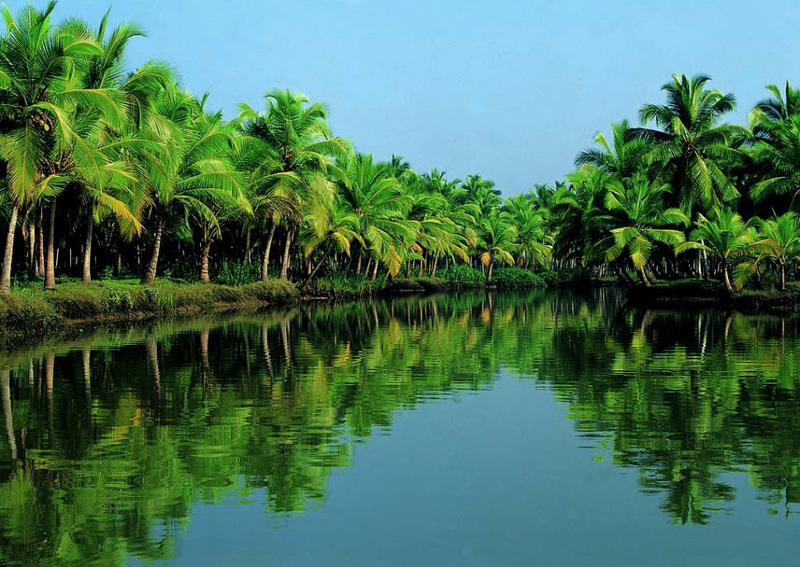 It is the most splendid of hill stations and is a bio diverse region spread across 2132 square kilometers on the lofty Western Ghats in Kerala. The salubrious climate is teeming with such scenic beauty arising from the presence of such marvelous landscapes of the lush paddy fields, green fertile plantations, dense forests, mist covered mountains, caves that talk in ancient tongues, one of its kind lakes and dams and mind blowing waterfalls. Plantations in Wayanad generate the maximum revenue through the cultivation of cash crops like pepper, cardamom, tea, coffee and much more. It is the indigenous habitat of a very large number of endangered flora and fauna species. It is truly the numero uno spot for all nature lovers, trekkers, and wild life aficionados. “Going back in a time” will be an integral part of your vacation in Wayanad as it houses the largest tribal settlement in Kerala sheltering aborigine tribes popularly known as ‘adivasis’. Festivals such as Onam and Vishu are best celebrated in their true colors and spirit in Wayanad where it still remains untouched by the urban ways of celebrating it. Wayanad is undoubtedly the perfect getaway spot for your heart and mind alike to be lost in time, peace and adventure. No Wayanad habitant ever complains that there isn’t a railway station or airport in Wayanad because everyone does know that sacrifice was made so that Wayanad maintains its pristine beauty. This does not mean that Wayanad isn’t well connected or accessible. The nearest airport lies in Calicut – the Karipur International Airport (135km) and is a mere 2 hour journey through the mind boggling Ghat Road (churam). The nearest railway station head is also at Calicut (93km). The hotel is situated on the roadside highway to Mysore and Ooty and is well connected by bus and other transports from all major and minor cities in Wayanad. Nest ‘N Mist offers you 13 extremely well furnished and fully air conditioned luxurious rooms that come packed with the most modern of amenities. The views from each of the rooms are precisely one of a kind and promise to be etched in your memory forever. The in house multi cuisine and specialty restaurants – Bay Leaf and Lemon Grass are located in picturesque settings giving the traveller a truly astounding dining experience. They offer cuisines as varied as Indian and Chinese to Arabic, Continental and more. Something exclusive that Nest ‘N Mist offers to its guests is the cuisine of Traditional Wayanad which most hotels fail to take up because of its complexity. We bet you haven’t had Bamboo Tree rice on a bamboo tree plate in the middle of a bamboo tree forest! Robusta taste is the snacks and drinks counter that is open 24 x 7 to the guests and is one of the best hangout spots in the resort for both family and friends to sit around, chat and have a light meal. The Lime Shot rooftop garden and lounge is the idyllic spot chosen by the family to enjoy the heart touching and majestic beauty of Wayanad. It comes complete with a rooftop garden and a place deemed perfect for family and social events like a barbeque. It is also the best spot to enjoy the not-so-talked night sky and beauty of Wayanad. We at Nest ‘N Mist know the value each visitor gives to their stay at Wayanad and to forever remind you of it, we have created our own curio and souvenir shop titled Honey Pot offering you a mini version of all that is indigenous to Wayanad from fresh honey, bamboo rice varieties, replicas of various items of tribal folk origin to T-Shirts and such. All these come to you at the most affordable of prices. To guarantee optimal comfort, we offer our guests a range of services including swimming pool, spa and gym. Our rejuvenating spa presents an awesome experience with a range of therapies and beauty treatments based on Ayurveda and other amazing Indian herbal techniques. We are really proud of a gym which will energize you during your Nest N Mist days. You can enjoy all the advantages of the gym which helps you stay fit and tension free. At the swimming pool you will be embraced with day long freshness. Make a splash and relish the fun at the pool which owns great surroundings and a delightful atmosphere.